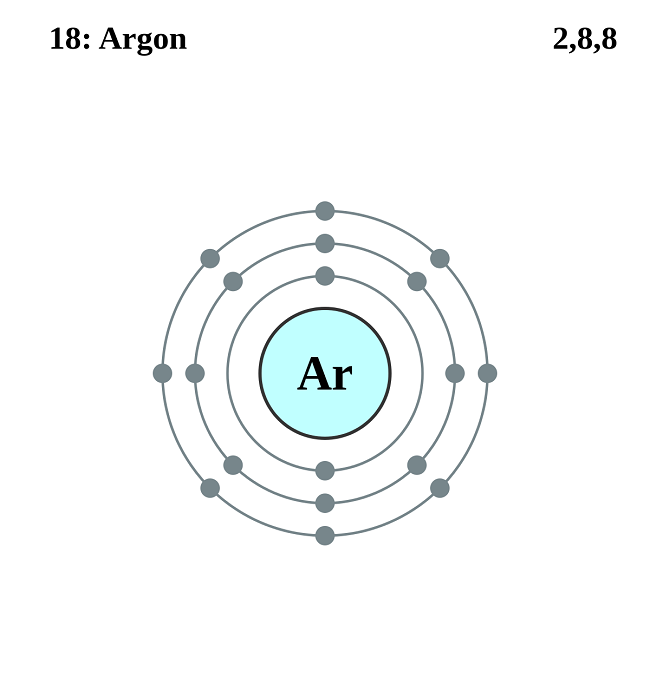 Argon (pronunciation: AR-gon) is a colorless, odorless, inert element belonging to the group of inert gases in the periodic table and is represented by the chemical symbol Ar [1, 2, 3]. Although it was once considered to be completely unreactive, it is now known to form a compound argon fluorohydride (HArF) during photolysis decomposition of hydrogen fluoride within solid argon matrix at a temperature of 7.5 K .
There are 25 known isotopes of Argon (from 30Ar-54Ar) out of which three are stable, including 40Ar, 36Ar, and 38Ar with a natural abundance of 99.604%, 0.334%, and 0.063% respectively . The longest-lived radioisotopes are 39Ar, 42Ar, and 37Ar with half-lives of 269 years, 32.9 years, and 35.04 days respectively . 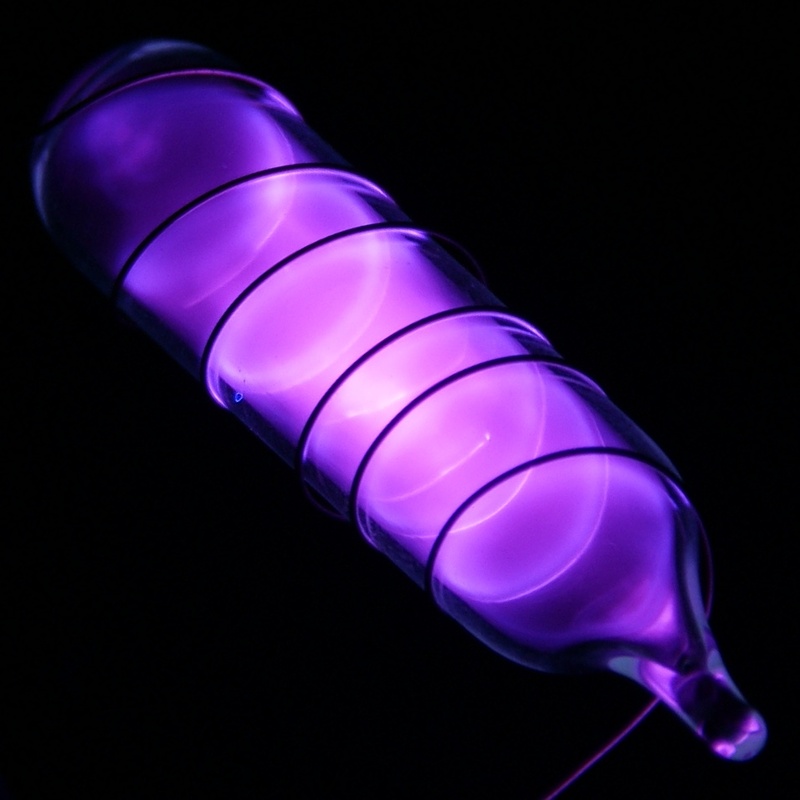 Since it constitutes 0.94 percent of the Earth’s atmosphere, Argon is the third most abundant gas in the air . It is formed when naturally-occurring 40K (radioactive potassium) decays to 40Ar [1, 4]. It is commercially produced by separating it and the other gases from liquid air using the method of fractional distillation . 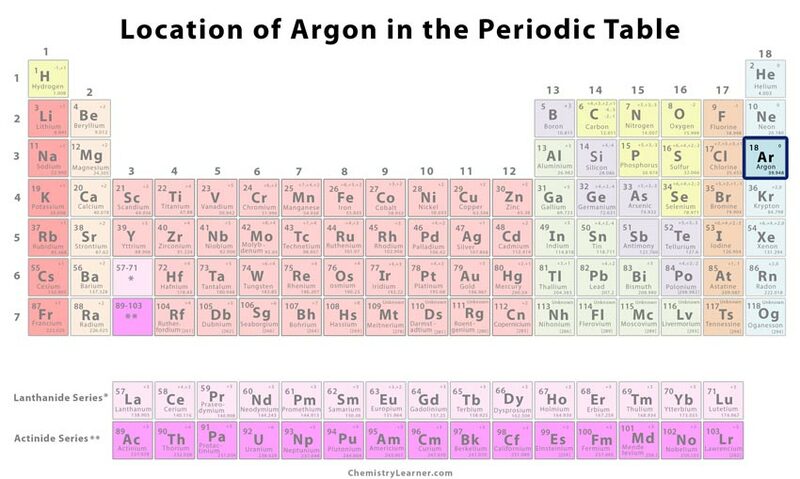 Who discovered it: The English chemist Lord Rayleigh and the Scottish chemist Sir William Ramsay are credited for the discovery of Argon [1, 2]. The British scientist Henry Cavendish had successfully separated the gas in 1785 and reported that it constitutes 1% of air, remaining unreactive even under extreme conditions [1, 3]. However, he failed to figure out the gas and fully understand its properties . Despite being present in the Earth’s atmosphere, argon remained undiscovered for many years until William Ramsay and Lord Rayleigh isolated it from liquid air in 1894 . In 1893, Lord Rayleigh found that nitrogen extracted from air is denser than that obtained from ammonia or other nitrogen compounds [1, 4]. To explain this abnormality, Rayleigh and Ramsay performed further experiments and notified one another about the progress . In 1894, Ramsay isolated all the components, including nitrogen, oxygen, and carbon dioxide from the air . Nitrogen was removed from the gas by reacting it with magnesium, resulting in solid magnesium nitride . 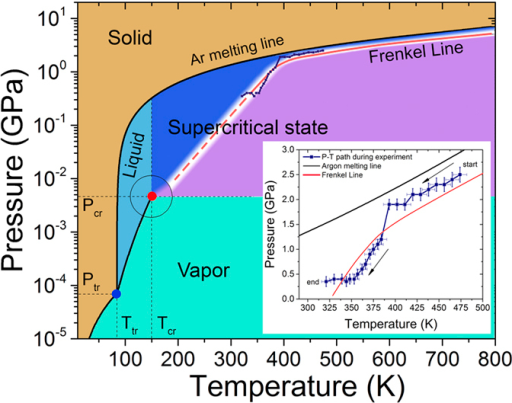 The gas that was left occupied 1/80th of the original volume and was chemically inert [1, 4]. After examining its spectrum, Ramsay found new red and green spectral lines . In 1895, Ramsay and Rayleigh announced their discovery to the world . It is commonly used when an inert environment is needed, especially during the production of reactive elements like pure titanium . Welders also use it for protecting the weld area . It provides an inert environment to facilitate the growth of germanium and silicon crystals in the semiconductor designing industry . Its use in light bulbs protects the filament from corrosion [1, 4]. This gas along with mercury is used in low-energy light bulbs and fluorescent tubes for producing bright light . It can be used as the gas to fill the sealed space between glass panes in double-glazed windows . Luxury cars have tires filled with argon that protect the rubber while reducing road noise . 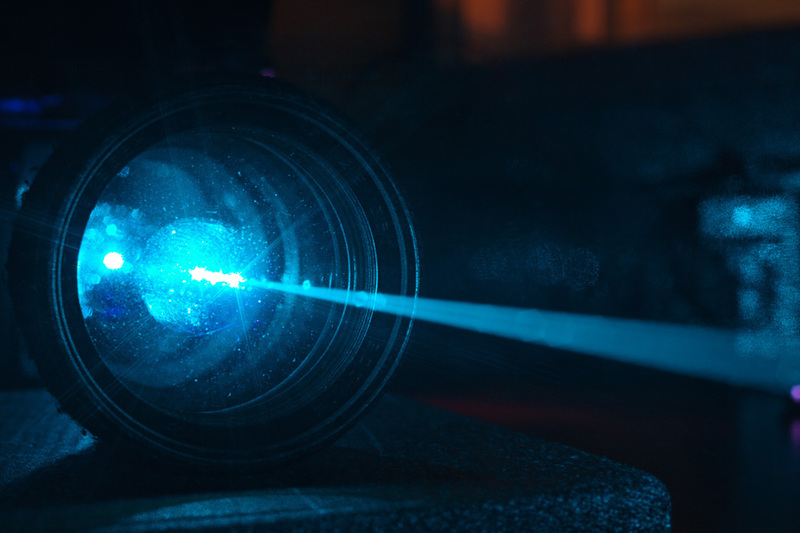 Argon also has medical applications, like its use in lasers that help correct eye defects including glaucoma, macular degeneration, retinal detachment, and blood vessel leakage . It is not known to be toxic, but occupational exposure to refrigerated liquid argon can cause frostbite . 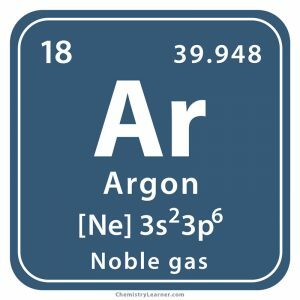 Being 38 percent denser than air, argon is regarded as a dangerous asphyxiant, meaning it can suffocate people in closed areas . It is not known to play any biological role . 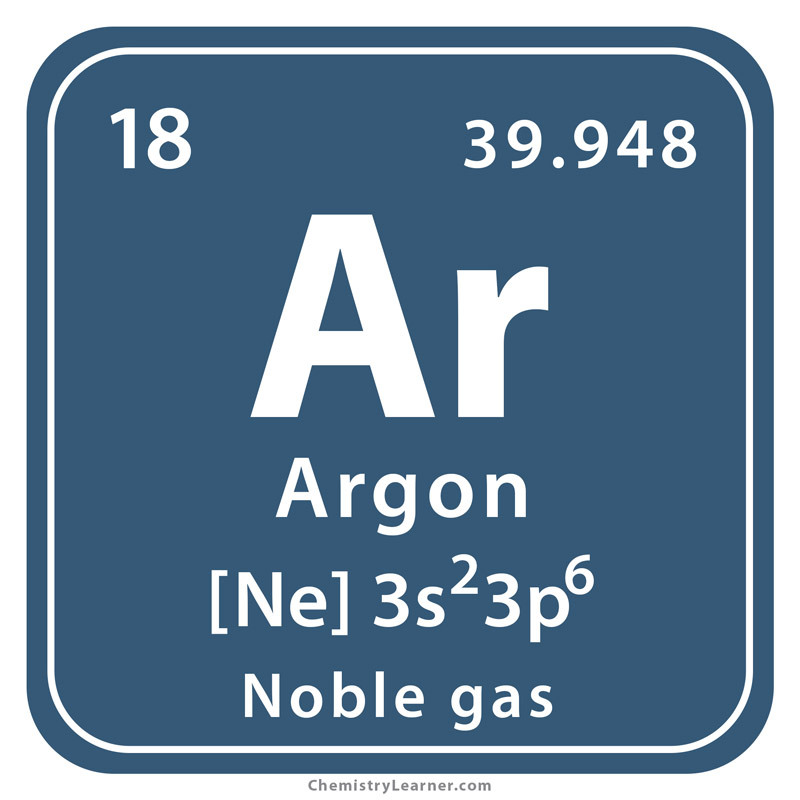 Argon, being a noble gas, neither accepts nor releases electrons. Therefore, it is not known to have any ionic charge. Its graphical representation highlights its use in welding industry wherein argon gas is commonly used for protecting the welded metals from getting oxidized . 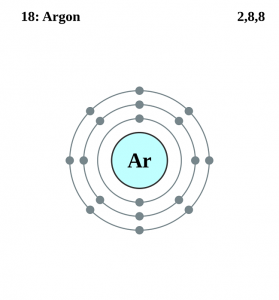 In 1957, the IUPAC changed the chemical symbol of Argon from A to Ar . In 2014, the contamination of groundwater by methane from leaky fracking wells (holes designed to recover oil from shale rocks) in Pennsylvania was discovered by researchers by injecting argon along with other noble gases into the wells . 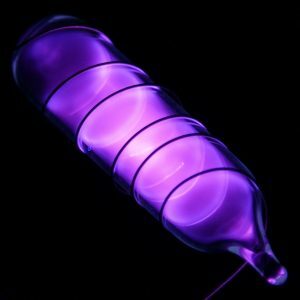 The cost of pure argon is about $44.38 per cylinder while liquid argon costs about $261.47 per cylinder .